Of course, you’ll need the numbers to the local fire and police departments, but there are other numbers that I suggest you keep on hand in case of, yep, an emergency. 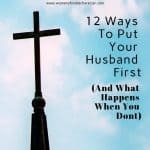 Keep in mind that this list is for you and your family, but also might be used by a babysitter or house/dogsitter in your absence. I recommend making a few copies of this list and laminating them. Post one on your refrigerator or family command center and keep one in your office. Additionally, it’s a good idea to have a few non-laminated copies on hand to give to family or sitters who regularly visit your home. 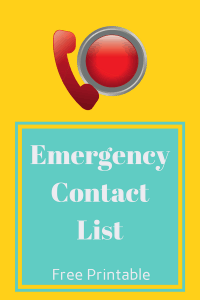 Below you will find the emergency contact list that we use in our home. Print it, fill it out and post it so that you and your family are ready in the event of an emergency. 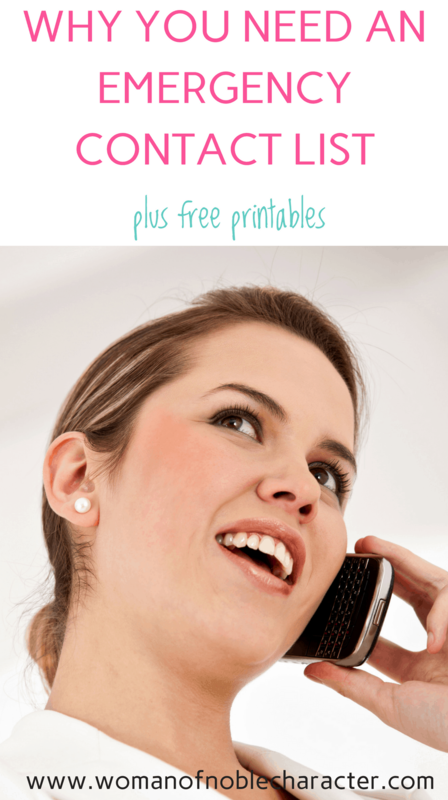 No more panicked scrambling to find the number of the electric company when the lights go out. 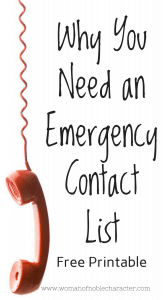 Did I miss anything on my emergency contact list? What would you add? Do you already use one?